Spiritual leader of the Iranian Sunni Sheikh Molavi AbdolHamid called on the Russian authorities to stop pressure on the Crimea. Following the occupation of the Crimea by the Russian Federation, Muslims are persecuted and suffering from discrimination and humiliation. A corresponding statement was made by spiritual leader of the Iranian Sunni Sheikh AbdolHamid Molavi for the leading state social and political newspaper of Iran Sayeh. The article entitled "The Situation of Muslims in Crimea is Disturbing," dwells not only on the current situation of the Crimean Tatars in the context of Russian annexation. The material begins with a historical summary, when the Crimean Tatar people first faced persecutions in the 18th century, and then in the days of the USSR, when all the monuments and houses of the people were destroyed, and in 1944 the Muslim people were deported by secret decree of Stalin. The material continues with the description of events of three years ago, when Russia seized the Crimean peninsula. According to the article, the lack of reaction of some groups of international society regarding the discrimination against the Crimean Tatars only emphasizes the essence of the imperialist policy of individual states, and Islamic states and peoples are obliged to support the Muslims of the Crimea. “News suggests that after the occupation of Crimea by Russia, Muslims are persecuted, suffer from discrimination and humiliation. And this news is unfavorable for Russia," the Iranian Imam said. “News that comes from the Crimea is quite disturbing ... Muslims of Crimea are under pressure, they do not have freedom, they are not allowed to build their own destiny, they do not take part in the governing of Crimea, they are treated unworthily. And this has concerned all Muslims," Molavi summarized. The publication of this material in Iran is an unprecedented event for the entire Iranian information space, which is emphasized by the Embassy of Ukraine in the Islamic Republic in a letter-notification on the publication of the article to the Minister of Foreign Affairs of Ukraine Pavlo Klimkin. For many years in the Iranian media such topics as the Holodomor of 1932-1933 in Ukraine, the political repression of the Stalin regime and the occupation of the Crimea were taboo topics for Tehran. The power of Iran, seeking to avoid tensions with Moscow, has always adhered to neutrality tactics against the backdrop of Russian aggression in Ukraine. However, due to the efforts and hard work of the Ukrainian Embassy, Ukrainian authorities have always managed to inform political, religious and media circles of Islamic Republic about the real situation in Ukraine. It was the Embassy that organized the trip of the delegation of the Iranian Press Cooperative to Ukraine on June 23-29, within which Iranian journalists met with the leadership of the Ministry of Information Policy, the National Union of Journalists of Ukraine, and representatives of some Ukrainian publications. All the results of the meeting on the real situation and violation of human rights in the Crimea were reported to the Iranian imam, who then condemned the pressure and persecution of the Crimean Tatars by the Russian occupation authorities and commented on the issue to the Iranian edition of Sayeh. "This publication is also a political signal for Russia amid deepening contradictions between Tehran and Moscow in such issues as support for the Assad regime and the future of Syria, the fight against ISIS. This shows the unwillingness of Iran to play the role of a junior partner in relations with Russia." 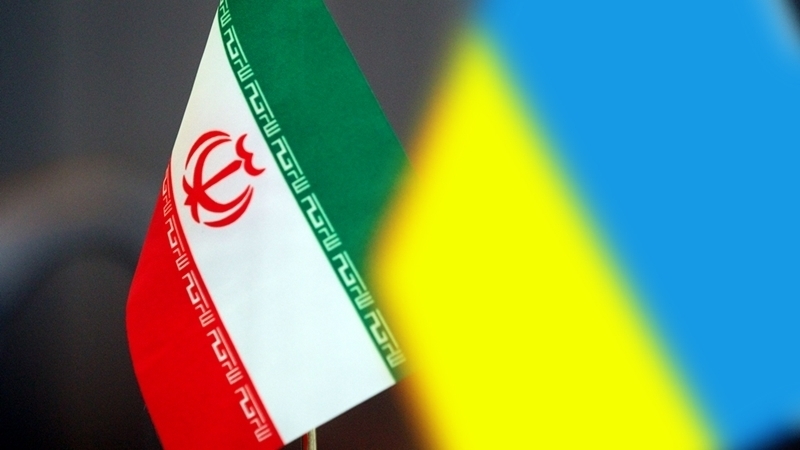 For its part, the Embassy of Ukraine will continue to work in Iran to provide its support for the territorial integrity and sovereignty of Ukraine.